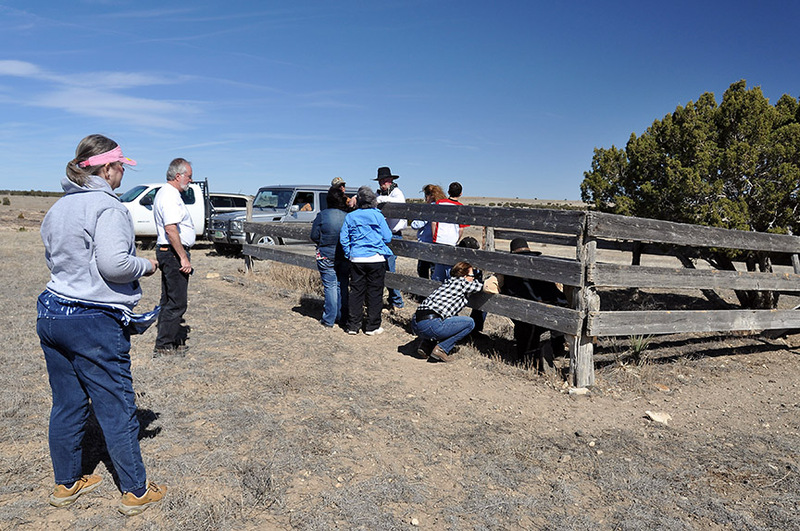 Saturday the Barn Committee and friends took a guided tour of the 3 Goodnight Cowboy graves along the Apishapa Canyon. The rancher that owns the property said that the story that has been handed down is that the cowboys died of dysentery. We also took in the rock bunk house a couple miles NW with a partial rock corral. Our day began with our stop at the Harry Vold Ranch. Harry was the first guide. His ranch is awesome! The trip was long and dusty, but we were anxious to see what was left of Goodnight's Apishapa swing station from 1866. View pictures on our Facebook page.